Virago Author of the Month – but which book to read?? I seem to be suffering from a plague of indecisiveness at the moment – I’m finding it hard to make up my mind which particular book I want to read! Having eschewed most challenges this year, I am of course reading from 1951 for our forthcoming #1951club, but I’m also trying to keep up with the LibraryThing Virago Group’s author of the month – it’s a good way to read books already on my shelves and as I have a *lot* of unread Viragos this has to be something positive! Of the three, I read “German Garden” a long time ago pre-blog and remember loving it; “The Solitary Summer”, which is a kind of follow-up, was equally wonderful; and “Mr. Skeffington” was unexpectedly deep, as I came to it with memories of the Bette Davies film. My second book for All Virago/All August (or as Jane/Fleur Fisher has so wonderfully called it, Very Virago/All August!) and so far I am sticking to the reading plan! 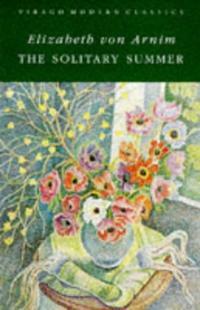 “The Solitary Summer” is the third von Arnim I’ve read, and is kind of a follow-up to “Elizabeth and her German Garden”. Of course I read “Mr. Skeffington” recently, which I loved, and so TSS sounded ideal for this month, as it’s a very summery book and the weather has been scorching! This is met with scorn by the Man of Wrath, who is convinced she will be bored or rained off in no time, but Elizabeth proves him wrong and we are treated to a wonderful little volume of her life and thoughts as the summer progresses. However, as might be expected the summer is certainly not solitary and Elizabeth is not left alone. She visits the local peasants, taking an interest in them and trying to improve their lot but being frustrated by their resistance. We meet the babies’ teacher and the three of them also cause much amusement and heartache for their mother. And Elizabeth is irritated by having soldiers billeted with them at the end of summer, and the necessity of trying to make polite conversation. Although superficially light, I’m finding hidden depths in von Arnim’s work. This is not just an airy-fairy description of flowers and gardens (though there are some beautiful passages, particularly the sequence where she visits the garden in the very early morning). There is much pondering on the point of life, the things we put ourselves through and how swiftly and cruelly death can strike: some of the parts dealing with the local people and their stubborn superstitions is quite chilling, and we feel how much Elizabeth wants them to see sense although they will not, to the detriment mainly of their children. And this book also deals with the need we have for solitude. Although humans are a naturally gregarious species, we’ve all felt the need for privacy, our own space, time on our own – and this is particularly pertinent for someone like von Arnim, who was obviously a person who needed to be always writing and needed the seclusion to do this.So many women over the years, bearing the burden of nurturing and caring within a family, have had to fight for that right to ‘a room of one’s own’ and this book will certainly strike a chord with them. I am really coming to love von Arnim’s very unique voice, her way of telling a story and the beauty of the landscape she inhabits and describes so memorably. Highly recommended – and now I need to track down more of her work! Well – we all know what happens to them, don’t we?! I am notoriously bad about making reading plans and resolutions and not sticking to them, ending up following my muse. The more I think about it, the more I regard reading as an organic thing – it grows as you read, and each new volume changes your perspective on books, so inevitably you will change what you want to tackle at the moment. I have a modest four books there, and the observant amongst you might notice one is a Virago, “The Solitary Summer” by Elizabeth Von Arnim. Having recently loved her “Mr. Skeffington”, I decided this would be appropriate for the LibraryThing Virago Group‘s “All Virago, All August” event. I shan’t be doing all Virago, but I shall do as many as I can. 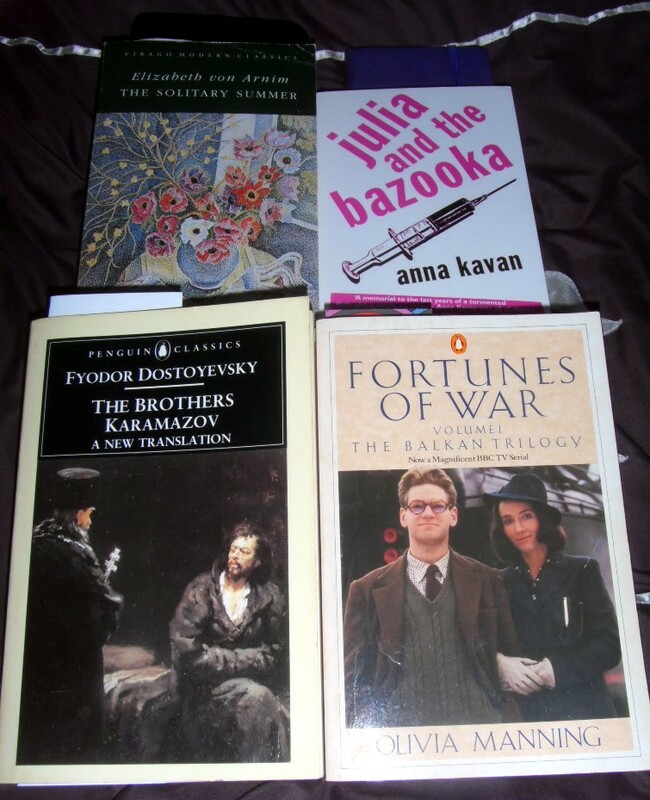 “The Brothers Karamazov” is rather a chunkster but I will see if I can summon up the courage to attack it, as it’s Dostoevsky and rated so highly by many. I started “The Fortunes of War” a little while ago, and felt the call back to it recently, so will try to get onto the second book in the sequence, “The Spoilt City”. And then there is Anna Kavan… I first stumbled across her work in the late 1970s/early 1980s (hard to be more precise than this after such a long time….) when I read “Ice” and “Sleep Has His House” in lovely Picador editions.”Julia and the Bazooka” is a posthumous collection of short stories, published by her loyal publishers Peter Owen, who’ve done so much to support her work. So I hope to dip into this one too. 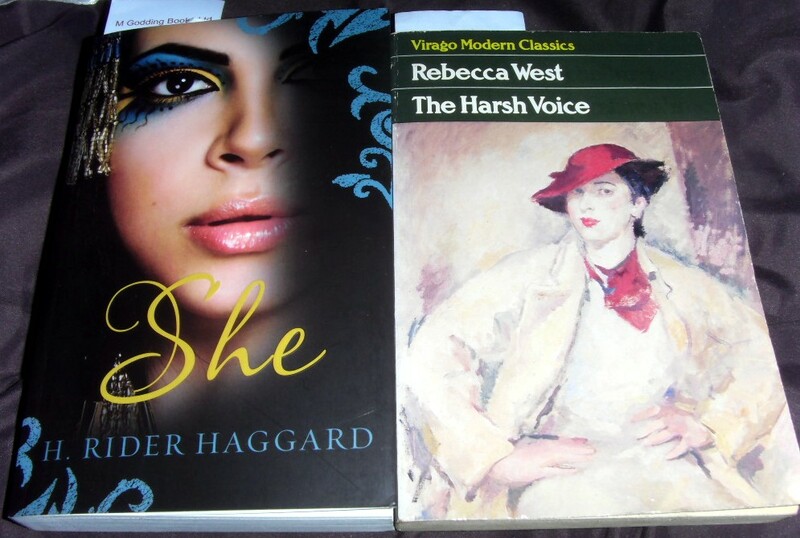 I have sneakily started AV/AA early with Rebecca West – “The Harsh Voice” is a collection of four long short stories/short novellas, which I intend to read alongside the other volume. This is the lovely edition of “She” by H. Rider Haggard, kindly sent to me by Hesperus Press – for which much thanks! I am currently well into this and really, really enjoying it! So – that’s the plan at the moment, though I’ve no doubt it will change – watch this space! I have to confess that I’ve not been doing awfully well with Virago reads recently – I didn’t even start the first of June’s two Barbara Pym titles, “No Fond Return of Love”, until July and have basically abandoned it as it failed to gel so much for me that I actually didn’t care what happened. Maybe I was in the wrong mood and I’ll return to Pym later – we shall see. In the meantime, I was browsing online for Viragos, and discovered that Elizabeth von Arnim, most famous for “Elizabeth and her German Garden” had also written the book “Mr. Skeffington”. That brought a load of memories flooding back for me, because in my teens I had a bit of an obsession with Bette Davis (and classic Hollywood movies in general) – and of course, “Mr. 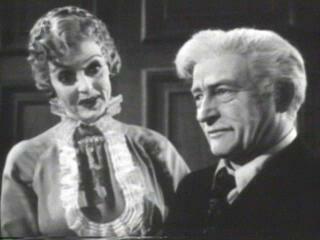 Skeffington” was one of her most famous films which I remember watching in my youth. I was fascinated to find that the original book was a Virago, so I sent off for a copy and luckily this turned out to be in excellent condition. Buying second-hand from the two largest online sources is always a bit of a lottery, isn’t it? Anyway – as I remember the film, it featured Claude Rains in the title role and was extremely melodramatic, as were most Davis films. I wondered how the book would be by comparison? “Mr. 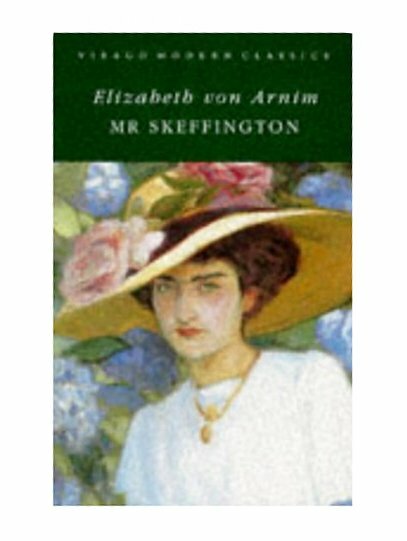 Skeffington” was the last book Elizabeth von Arnim wrote, and it was published in 1940, shortly before her death. It tells the story of Lady Frances Skeffington, known as Fanny, as she approaches her 50th birthday. What is initially shocking is how she, and every other character in the book, regards this as old – she is treated as if she is practically on her death-bed! Fanny is recovering from being seriously ill, and this illness has caused her to lose her looks completely. All of her life she has been a great beauty, worshipped and adored by many men, and this is something of a shock to her system. Fanny was married to Job Skeffington, a rich Jewish business man, but divorced him over 20 years ago following a series of infidelities. Since then, she has amused herself with a series of admirers, casting one off when bored and moving onto another one. This is a life seemingly without substance, but since her illness Fanny has been haunted – despite not having thought of her ex-husband since the divorce, she now starts seeing his shade everywhere. This affects her so much that she has to move into Claridges temporarily, and thereby sets in motion a chain of events by which she revisits past lovers and tries to discover what she should do with the rest of her life. The bones of the plot do bear relation to the film (as I remember it), but the book is told in a much less straightforward way – the film became a linear tale, laden with melodrama and Davis’s histrionics, whereas the book is subtler than that. For a start, it’s very amusing – Arnim writes beautifully, her prose sprinkled with black humour as Fanny starts to realise from others’ reactions just how much she depended on her looks and how much they have now deserted her. She is at heart a sensible woman, but the setbacks and rejections she receives would knock the stuffing out of any woman. As she journeys through her past, re-encountering her admirers, she one by one rejects them – they have changed as much as she has, age taking its toll on them too, and she sees them clearly for what they were. Each lover wanted something from her in return for their devotion, whether it be that she would marry them and be the perfect wife, or bring them status and position – in some cases even money (as Mr. Skeffington had left her very comfortable off after the divorce). The bitter pill this brings is very hard to swallow, and as we follow Fanny through her odyssey we do wonder where it will all end. The ex-lovers are a mixed bunch, too – from her cousin George, to elderly Jim, to young Dwight the most recent (who is still at Oxford!) and taking in the man of God Miles. As the story develops Fanny sees these former admirers as they really are, rather than through the prism of her own ego, and the changed viewpoint is shocking. We learn how loving Fanny changed them, too, and in the case of Miles this is illustrated quite dramatically – after being cast off by Fanny, he threw himself into the priesthood, preaching in the East End and living in penury with his downtrodden sister. The sequences in Bethnal Green are some of the funniest and also most tragic, as Fanny is mistaken for a high-class prostitute (which some might argue she actually is). Job Skeffington himself spends most of the story off-camera though we do learn much about him. We get into somewhat murky territory here, as his Jewishness is the subject of some slightly dodgy commentary (and there is another section with some unfortunate racial judgement too). Fanny basically only ever loved her brother Trippy, and married Job to save him from poverty. But Trippy died in the First World War, and Fanny was left with a marriage she didn’t want and divorced Job after the 7th infidelity. Job had worshipped her, like all the others, so one wonders why he was unfaithful although the obvious conclusion is that he found a warmth here missing in his marriage. I have seen this book and Fanny savaged in reviews, criticised for being self-centred and unpleasant. Well, I’d argue with that. Fanny is a product of the society she was born into, a culture which celebrated women for their looks and not their brains. The men are just as at fault as Fanny for putting her on such a high pedestal – if society will make it so easy for a woman to survive on just her looks, what it she expected to do? Fanny makes practical use of her assets, like so many women have had to do through the centuries, and if the men are dumb enough to worship her that’s their lookout. And there are hints in places, like mention of her war work, that she has not had a completely superficial existence. But this is not as trivial a book as it might sound. There is an undercurrent of darkness in several places: the story of Miles the preacher and his poor sister Muriel is quite chilling, as she is totally in thrall to her brother, living unhappily in guilt and poverty; when Fanny tries to rescue her and take her away to stay with her in the country, she receives a cold and frightening response from Miles that his sister does not go out. The book’s end sequences are very similar to how I remember the movie’s finale, and just as moving and tear-jerking. I won’t say too much in case you don’t know – I would hate to spoil the impact – but Fanny does find her way in the end and a path for the rest of the life. When I referred to Fanny’s odyssey earlier, this might perhaps be the way to regard “Mr. Skeffington”. Fanny has to journey through her past and come to terms with it so that she can move on. Each of the former admirers she meets represent a different aspect of her life – older man, man of learning, man of religion, young man etc. And surprisingly enough, none of these men would have been any good for her long-term. In a culture which regards female beauty as the highest point to which a woman should aspire, they are ill-equipped to deal with the loss of their looks and Fanny does well to hold herself together. She’s a surprisingly appealing heroine despite her ego and vanity, and although the view that women need a man and marriage may be outmoded, a culture which judges women by their looks is still a remarkably current one… I loved reading this book for its dark wit, the quality of its writing, the wide range of characters and the vivid picture of Fanny’s life. Highly recommended!